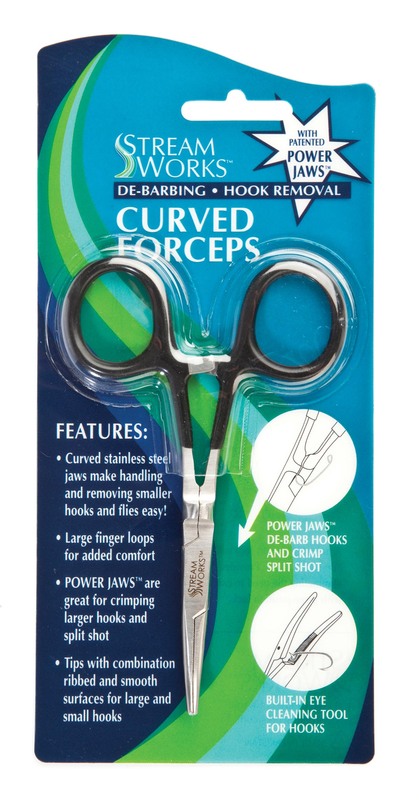 Power Jaws™ de-barbs hooks, crimps split shot and provides the gripping power of pliers, eliminating the need to carry two tools. The curved tips aid in reaching into tight places to grab hooks and flies. A needle pressed into the stainless steel jaws removes paint and glue from jigs and flies. 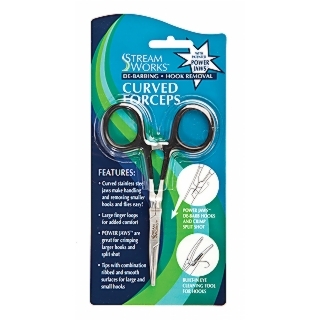 • Curved stainless steel jaws make handling and removing smaller hooks and flies easy. 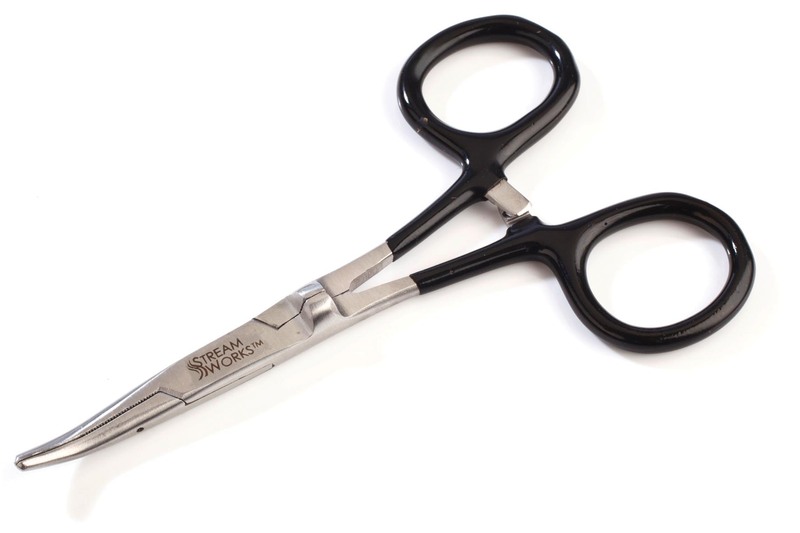 • 5” stainless steel forceps aid in holding, de-barbing and removing hooks. Also great for crimping split shot and other items. 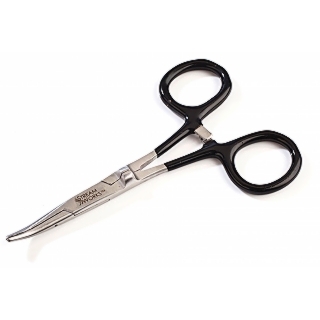 • Combination ribbed and smooth jaw surface holds large and small hooks firmly. • Three position locking handle grips all garments and other items firmly and securely.